Ever since I discovered how to make body sugar scrub, I’ve been fairly obsessed. No more splurging on fancy scrubs when I can make them myself. And I’ll tell you, I’ve made some fabulously fancy scrubs. I mean, my body DESERVES them! Not only that, it’s super economical and I love me some savings. Sometimes, you gotta respect yo’ money. 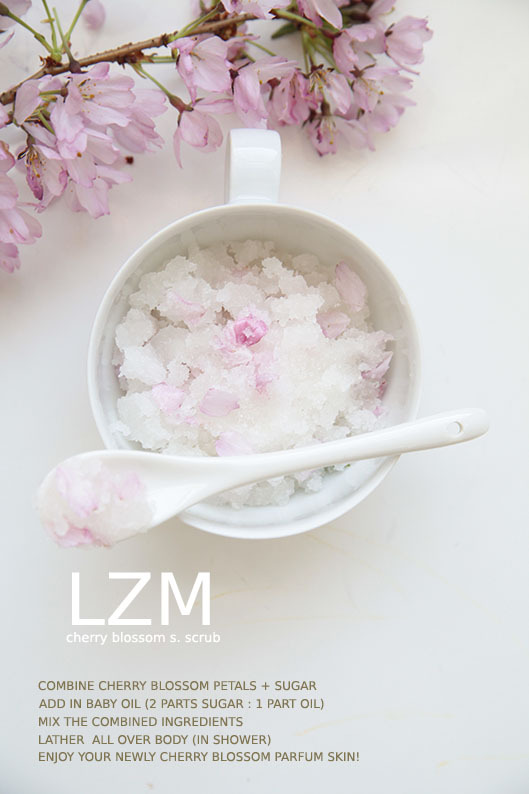 Here is my latest sugar scrub concoction, Cherry Blossom Sugar Scrub. SERIOUSLY. I think baby oil makes the most sense for this scrub. It’s fresh smelling, soft, and very inexpensive. Plus, if you’re a mommy (ME! ), you’ll always have baby oil already at hand. Other oil options are coconut, olive, almond, avocado, and Vitamin e.
I used regular granulated sugar. 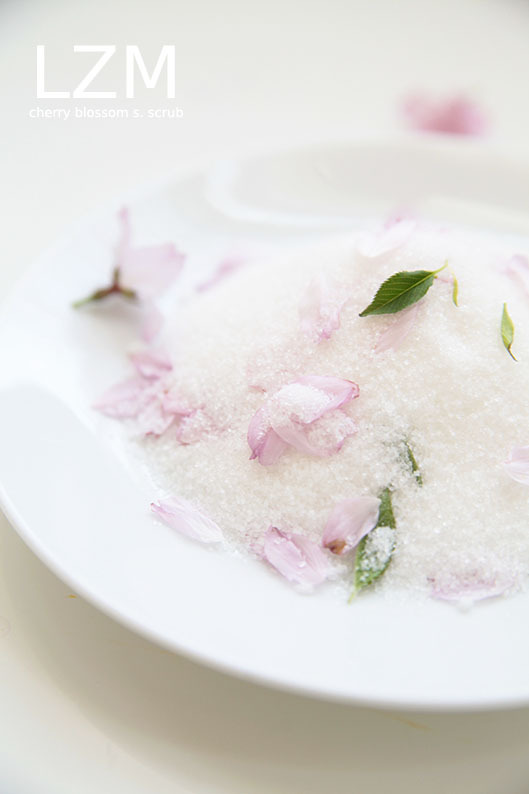 If you have extremely sensitive skin, substitute with brown sugar as the texture is softer. I added the leaves to give it some color. 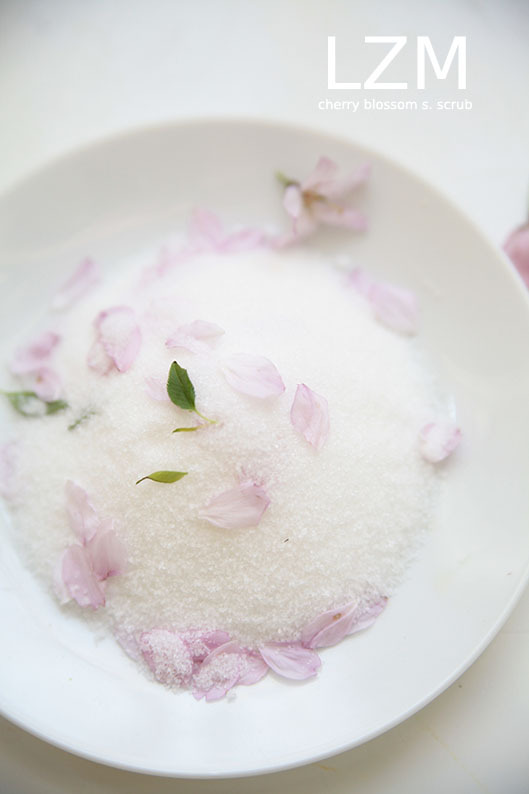 You can definitely use more fragrant petals such as lavender, roses, jasmine, lilac, etc. For all you ladies who enjoy the more beautiful things in life and like to save (I believe this is ALL of us! ), this is a MUST try! 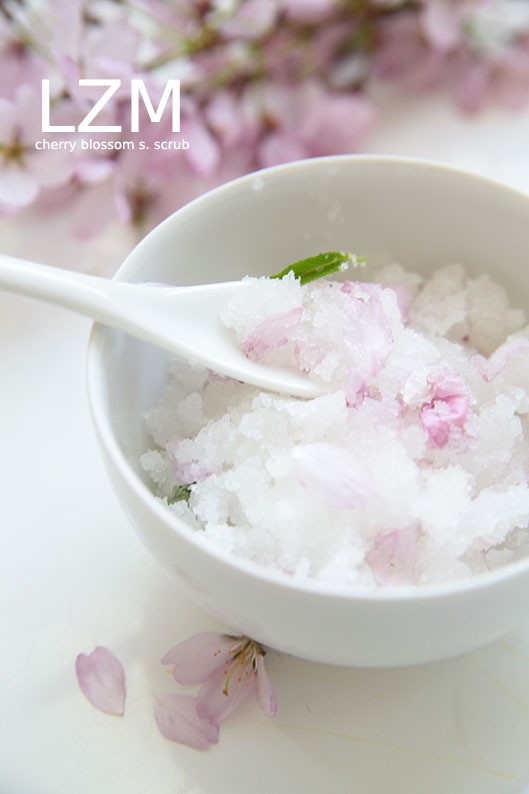 To see my other sugar scrub posting (Coconut Tea Rose), please click here. I love this! It inspired me to go make a batch of my own, although I had to substitute some things, still really pleased with the finished product. This is great stuff, and perfect to give as gifts as well. This sounds delicious and even easy to make! By the way, thanks for following my blog! wow! this looks absolutely yummy! hahahaha. it looks like it is finger licking good. too yummy and tempting for a spa treatment. nice. This looks absolutely heavenly!!! Thank you for posting it! 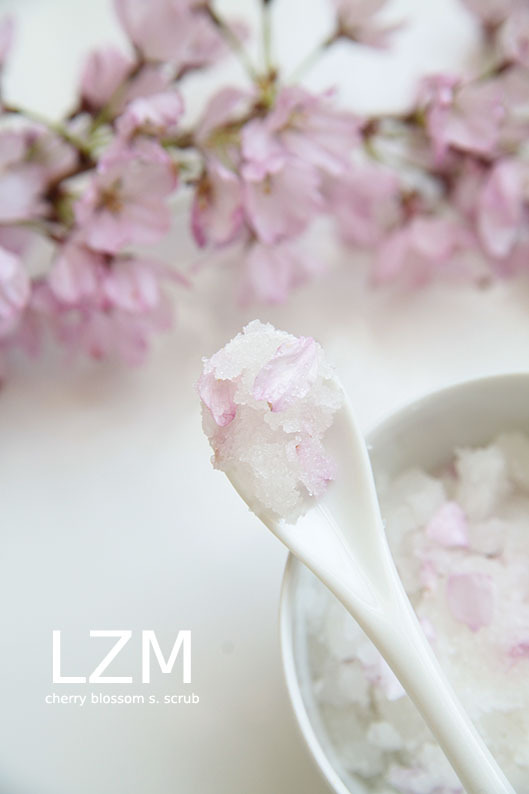 I love homemade sugar scrubs and this one looks great! Thanks so much for sharing! Sounds amazingly fragrant! I would suggest why not Mineral Oil? It is also inexpensive, don’t need much, good for all baby rashes of all kinds, a major exterior moisturizer AND, a perfectly safe to eat as well–for baby safety I mean lol! I love this! I have really horrible dry skin. 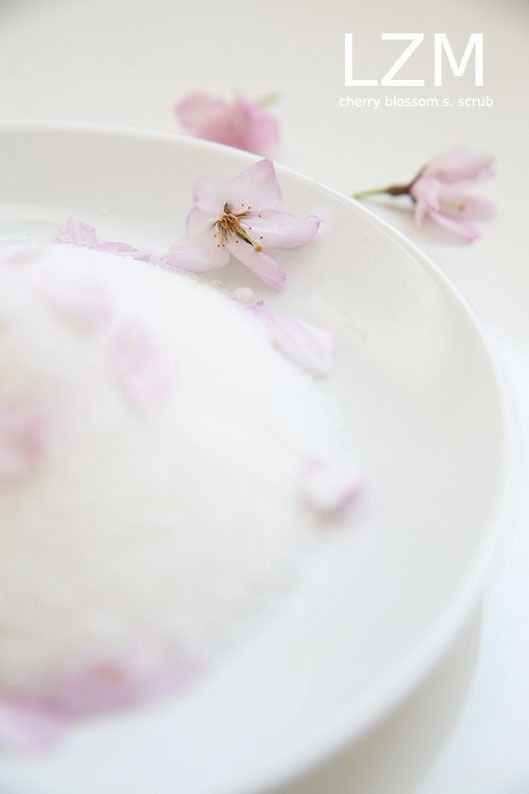 I love sugar scrubs they are like a miracle drug to me! Have you experiemented making the scrubs with any other oils? 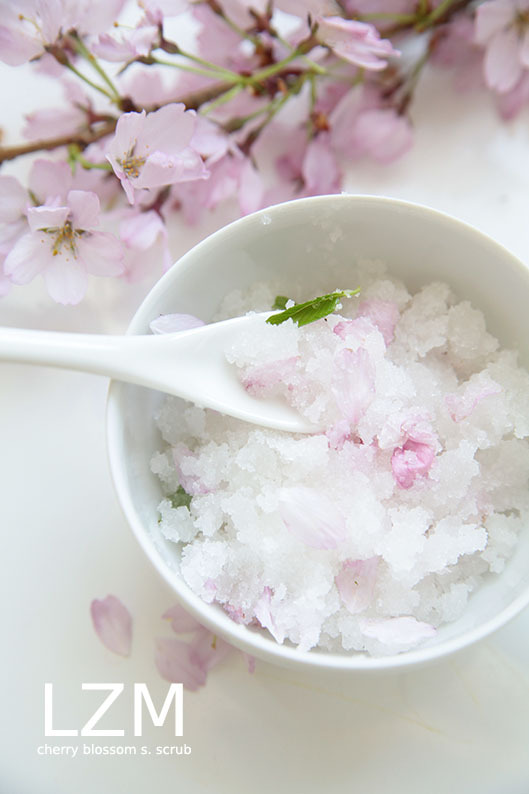 What lady doesn’t Love a good beauty scrub? Oh I love this. I am sitting looking at trees full of cherry blossoms now! But can you save this mixture? How long will it last? Awesome. I have some canning jars that seal up really tight. My 13 year old daughter and I are making them up this weekend for each other. Prettiest pictures I’ve seen all day! Gaaaah, lovely. I’ve always wanted to try making my own sugar scrub. Totally inspired…thank you!! wow!!! looks really really good!!! I’m going to make a rose scrub!! thank you so much!!!! How cool, Kellie!! I totally need to make this! Ooooh! My baby girl (teenager, really) will definitely make this. I am forwarding it to her. What a wonderful mixture – can’t wait for my roses to bloom! That is so cool. You’ve just given me so many ideas with this post!